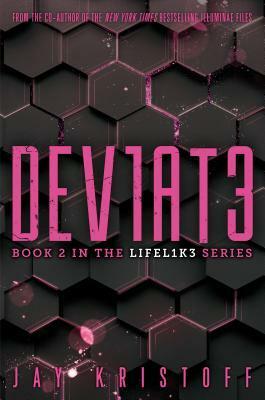 From bestselling author Jay Kristoff comes the second installment in the LIFEL1K3 trilogy--hailed by Marie Lu as "a breathless, action-packed exploration of what humanity really means." In the wake of a climactic battle in the ruined city of Babel, two former best friends suddenly find themselves on opposite sides of the same quest. Eve is torn between the memories of the girl she was, and the synthetic she's discovered herself to be. Together with her lifelike "siblings," Eve sets out to find the real Ana Monrova, whose DNA is the key to building an army of lifelikes. Meanwhile, Eve's best friend, Lemon, is coming to terms with a power that she has long denied--and that others want to harness as a weapon. When she meets a strange boy named Grimm, he offers to lead her out of the horror-ridden landscape and to an enclave of other abnorms like herself. There, Lemon quickly finds a sense of belonging--and perhaps even love--among the other genetic deviates. But all is not what it seems, and with enemies and friends, heroes and villains wearing interchangeable faces, Lemon, too, will join the race to locate Ana Monrova before her former best friend can get to her.